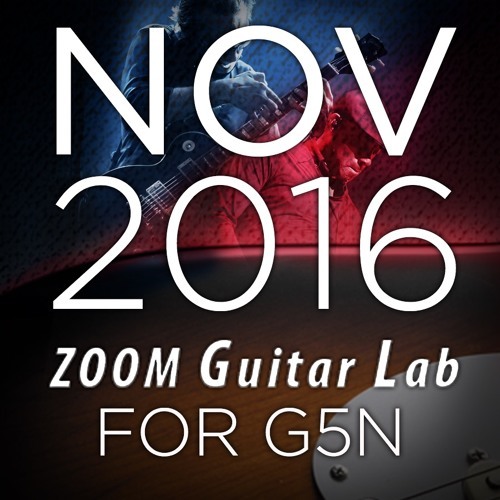 This playlist includes newly-created, downloadable patches for the Zoom G5n MultiEffects Pedal for Guitarists. This includes... MK1 Lead - This lead tone uses MK1 to evoke the sound of early Santana. MK1 LEAD (for REC) - This lead tone tailored for recording uses MK1 to evoke the sound of early Santana. SynchroCmp - This patch is inspired by the arpeggio in The Police's famous song "Every breath you take." Shoegazer - Using SpaceHole, this patch creates a shoegazing sound with complex reverb. OctDwnDly - Using PitchDly, a delay sound is produced an octave down BitCrusher- This patch uses P-BitCRSH. Move the pedal to add glitching noise.